spiritual meaning of some of the great sacred Masterworks. This is Part 1 - from beginning of time to the end of Bach and Handel - 1750. The greatly desired Russian translation has been started. Pray for a speedy translation and editing process as well as the required funds. Chapter 2. The emergence of Christianity. Topics covered: Historical and social background, general characteristics, religious themes, images and symbolism, Byzantine culture, key religious leaders of the first millennium. Chapter 5. Renaissance and Reformation. Topics covered:: Bach and his time, personal faith of Bach, Bach’s Bible and significance of eight personal notations, main periods of Bach’s life, theology and music in Bach's life, overview of Bach’s Music, understanding symbolism in the music of Bach, with specific examples from some of his major choral works. Topics covered: Main periods of Handel's life, Overview of Handel’s music, analysis of Handel’s Messiah. Appendix. Contains 21 scores of hard to find music of composers (primarily Renaissance and early Baroque) whose works are mentioned and briefly described in the text. 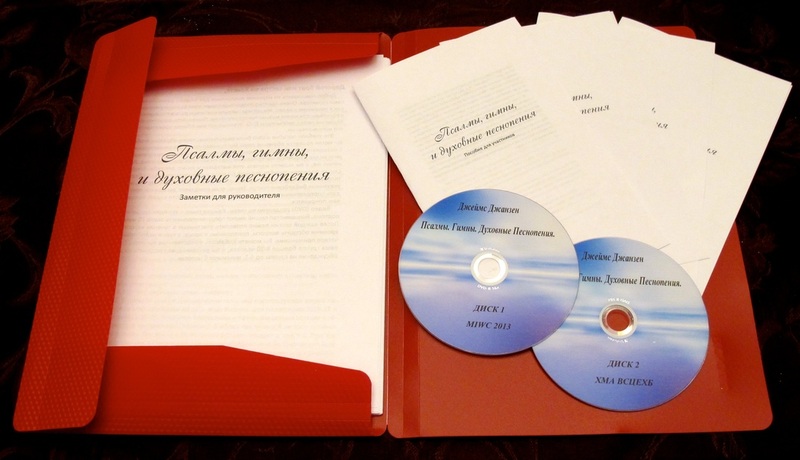 12 Part DVD Russian version, with leader's guide and participants study booklet Псалмы, гимны, и духовные песнопения (Psalms, Hymns, Spiritual Songs) available from author and speaker. Use contact page to order. As an associate of Music in World Cultures, I am assisting the EBTC (Europäisches Bibel Trainings Centrum) with the development of a one year music training program for worship leaders.